Working within a network of innovative global leaders, Pete has developed deep design expertise for addressing today’s key business challenges. His capabilities and work intersects service design, organisational change and enabling organisations to successfully implement new innovative ideas. His background is a varied mix of entrepreneur, researcher, consultant, marketeer, painter, and designer. There are few things he likes better than telling a good story, especially one that helps to frame new opportunities for business impact. Pete believes understanding the human context is essential to uncovering what can be designed (objects, processes, strategies, models) to motivate positive behaviours and inspire people to act. He was most recently Managing Director of IDEO Singapore. As a trained journalist and design researcher, Lishan believes empathy is the root of great design, be it a discrete product or a large organisation. She is particularly interested in humanising complexity, and her expertise is in translating insights into action. Up till most recently Lishan was a design team lead at IDEO Singapore, where she was a pioneering member of the office. Her experience spans designing for behaviour change, service experience design, organisational design, new product development and communications strategy. She has also led and coached clients on a variety of global projects in consumer electronics, human resources, government, FMCG, financial services and healthcare all over South East Asia, China, Australia and the United States. Charmaine discovered the world of programming when she was studying English Language at NUS. Coding programs that you could interact with, was like magic to her, and so she graduated with a Bachelor of Computing instead. She believes that technology should enable people – working at an IT helpdesk, she saw how poorly designed websites could frustrate and confuse people. In her work across enterprise and consumer digital tools, she focusses on creating well-designed search, intuitive navigation and concise interfaces. She was previously with Minitheory, Singapore, where she led the UX design of an enterprise software, ReMetrica, embedded in agile product team from early idea to launch, which won Actuarial Post’s Software of the Year (2016). At AGENCY, Charmaine brings ideas to life through prototypes, which has expanded to both the digital and physical realms. She is also part of the local UX design community, and was an instructor for UX Design at Alphacamp, and also a mentor on design at the DBS Hotspot startup accelerator. Alistair Norris is a Senior Interaction Designer at Agency, where he designs, prototypes and builds experiences. He grounds his love for emerging technologies in people’s needs, finding the intersection between the best new thing and the thing that works best. Alistair is an active participant in many grassroots online communities and digital economies, and he uses these experiences as inspiration for his design work in the real world. Alistair has global experience, having spent time at IDEO’s London location prior to coming to Singapore. He has worked with clients ranging from large corporations to startups and academic institutions in industries including retail, automotive, logistics, finance and the public sector. He also spent a year in the trenches of the startup world building products from the ground to thousands of users. Alistair studied interaction design at Dundee University’s school of design in Scotland, graduating with 1st Class Honours. With a background in Critical Theory and Art History, Jean has worked in and across research, pedagogy, and business and corporate strategy. She believes that the intersections between art, science and technology are key to shaping our future. She aims to grow the understanding of design thinking and research within businesses and organisations, traditional and new, to unlock possibilities in products, systems, and cultures. Jean has global working experience with private companies, individuals, and institutional clients, and was previously based in the UK. She was most recently with an international auction house, working on Business Development and Client Management across New York, London, Paris, Geneva, and Hong Kong. Jean holds a Master’s Degree in History of Art and Visual Culture from the University of Oxford, and a B.A. in Visual and Critical Studies from the School of the Art Institute of Chicago. Caroline loves building emotional connections with others and is passionate about making positive impact in the world we live in. She dived into the world of storytelling as a content curator for Discovery Communications, strategising the rollout of their biggest campaigns like Shark Week and Mythbusters. She then discovered the dark side of production as a producer for Discovery Channel, telling the most amazing stories across Asia in the freshest of ways, and working on top-rated shows across a variety of platforms for global brands such as Audi, Samsung and Panasonic. But more than just dreaming up new ways to tell stories, Caroline is inspired to create human-centred solutions that enable and empower. With a background in Business and Design Thinking, Camila is at her best when viability, desirability and feasibility overlap, generating an innovative and future-facing solution. As a Business Designer at Agency, she balances the needs of final users with the goals of clients without compromising the Profit & Losses of the business. A native of Brazil, Camila spent her formative years between France, Brazil, and China. She worked as a financial analyst at IBM, later joining BRMALLS, the largest shopping mall company in Latin America as a project developer. With global experience, perspective, and business training, Camila understands how good business is born from, and strengthened with a deep understanding of context. Camila was a member of the first graduating class with a Master in Customer Experience and Innovation from IE University in Madrid, Spain. Over the years, we've built a great relationship with designers, who are collaborators on short-term projects and long-term programmes. They are highly creative individuals who bring a unique blend of passion, expertise, craft and consultantship to our team. Bjarke Ingels Group (BIG), Tadao Ando Architects & Associates, and UNStudio. Her interests in place-making and its potential for positive impact on daily life is a by-product of her experience in designing across multiple scales - publications, exhibitions, residences, cultural institutions, and public spaces. Natalie believes design is not just an expression of style, but of purpose. As an illustrator, she blends the2-dimensional freedom of visual storytelling with the physicality of the built environment. In doing so, Natalie hopes to explore the boundaries of both disciplines and discover new hybrids. 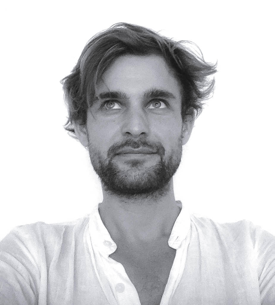 Over the years Dominic has crafted his experience working internationally on Human-Centered and Designing Thinking innovation projects, with a range of consultancies including IDEO and Actant, as well as independently. These projects have spanned product, packaging, branding, interaction and service design for clients including Kraft Foods, Cadbury, SAB Miller, Unilever and healthcare innovation startups. In addition to delivering strategy and concepts to fuel business growth, his work has also resulted in many registered patents. He leads training and capability building workshops for commercial clients in Design Thinking with emphasis on the value of observational research and prototyping within the innovation process. Dominic thrives in multi-disciplinary teams working with people, clients and the challenges and constraints of the real world. He finds inspiration in the cross-pollination of thoughts, skills and perspectives. And is happiest when thinking with his hands - or to put another way, exploring and experimenting through prototyping. He was recently invited by IDEO.org to join them in the field out in Nepal to work on a rural pediatric care challenge for Possible, an organisation working to bring low-cost, high-quality care to the poorest.He is a passionate advocate for sustainability and finding better ways for people to co-exist with the planet we live on. Mariani is a communications designer. Having studied Graphic Design in Singapore, she went on to pursue a career in retail design at FITCH, servicing clients that include Dell, P&G, B&Q and Samsung spanning retail environments, brand and visual design with a focus on translating brand stories into tangible spaces. She brings to the team a visual skill set focussed around interpreting and communicating in dynamic and inspiring forms. Mariani has worked on a variety of projects that include an infrastructural visioning project for a global airport, graphic design and communications for a public sector change management program. And is inspired to bring new exciting and inspiring ways to bring to life the human narrative from business strategy.